Gutter Guard Mount Dandenong - 3767 – Does it work? Should I install a gutter guard product in Mount Dandenong - 3767? We recommend the installation of a Gutter Brush in Mount Dandenong product over your downpipes only. This is a cost effective solution, easy to remove; clean & replace. It works best when combined with a regular gutter cleaning schedule to ensure that the debris does not block water flow to your downpipes. 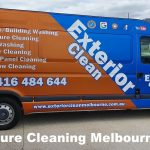 How Much do we charge to clean your Gutters in Mount Dandenong - 3767 & Install Gutter Brush?